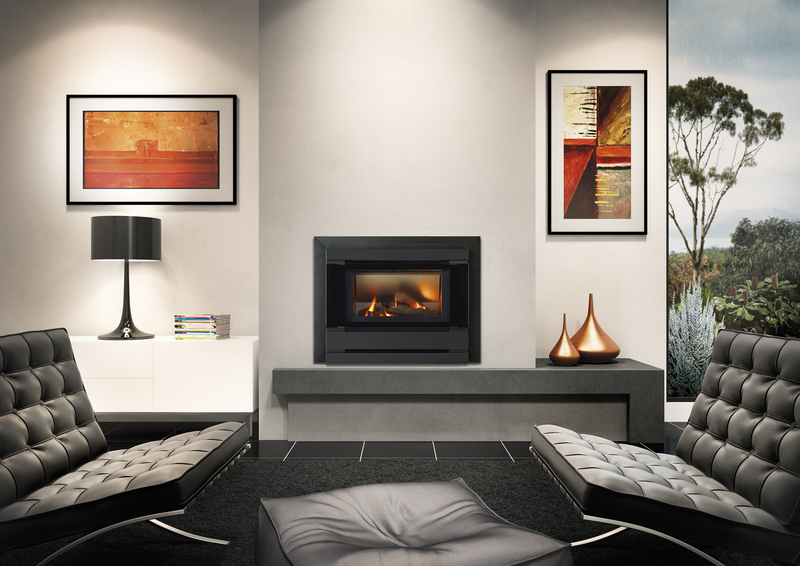 Designed for Australian needs by Australian craftsmen, the Fitzroy Profile Inbuilt has become a proven favourite. Enjoy a panoramic view of realistic eucalypt look logs, as the all new Profile series Fitzroy is now supplied with a double glazed fascia as standard. A clean, fuss free design with high heat output and superb energy efficiency. Neatly fits the cavity of existing gas or oil space heaters. Guideline only. Based on the testing of AS4553 – MJ per Year (as shown on AGA label). NG=$0.02/MJ, LPG=$100/Bottle & Bulk LPG=$0.50/Litre. Adjustment for individual tariffs & usage patterns must be allowed for.